Snowden: NSA Collects 'Everything,' Including Content Of Emails : The Two-Way Edward Snowden, who has taken credit for leaking classified information, said a huge amount of information about Americans is collected under the pretense of investigating foreigners. 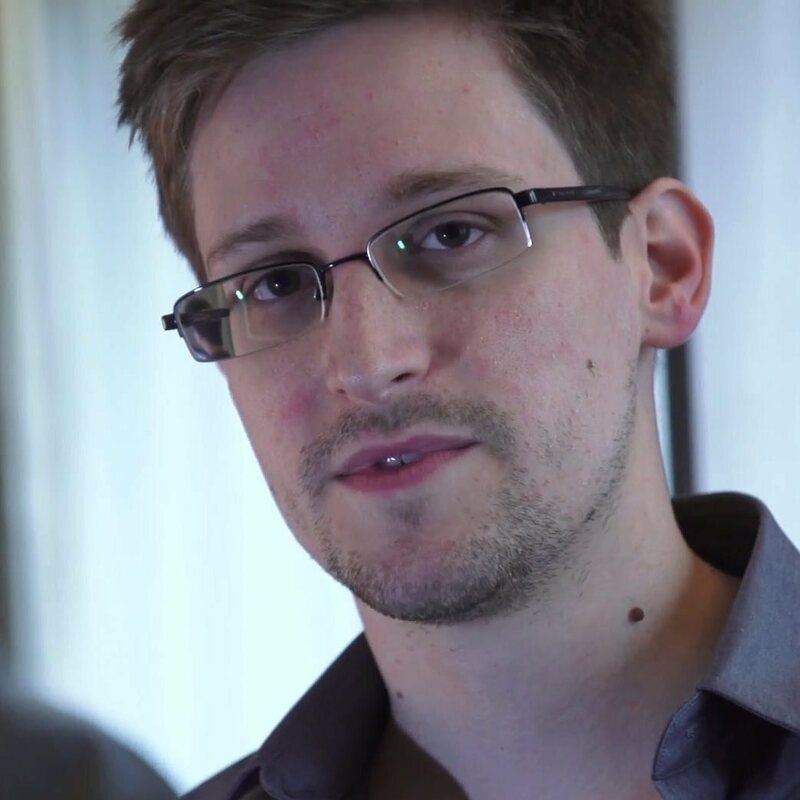 Snowden made the controversial remarks during a live chat with The Guardian. Self-described NSA leaker Edward Snowden has made some stunning allegations during a live chat with The Guardian today. Snowden, who leaked classified documents revealing the existence of the NSA PRISM program, which U.S. officials say mines Internet data from foreigners, contradicted both what the big tech companies have said and what American officials have said in front of Congress. "If I target for example an email address, for example under FAA 702 [a law that allows the gathering of electronic information on someone believed to be outside the U.S.], and that email address sent something to you, Joe America, the analyst gets it. All of it. IPs, raw data, content, headers, attachments, everything. And it gets saved for a very long time — and can be extended further with waivers rather than warrants." "Yes, I stand by it. US Persons do enjoy limited policy protections (and again, it's important to understand that policy protection is no protection — policy is a one-way ratchet that only loosens) and one very weak technical protection — a near-the-front-end filter at our ingestion points. The filter is constantly out of date, is set at what is euphemistically referred to as the "widest allowable aperture," and can be stripped out at any time. Even with the filter, US comms get ingested, and even more so as soon as they leave the border. Your protected communications shouldn't stop being protected communications just because of the IP they're tagged with." The NSA chief, Gen. Keith Alexander, said during a hearing last week on Capitol Hill that he knew of no way to do that. As far as the denials from Google, Microsoft and others, Snowden said they were "misleading and included identical, specific language across companies." We'll update this post with highlights of the Internet chat, so make sure to refresh this page. "Obama's campaign promises and election gave me faith that he would lead us toward fixing the problems he outlined in his quest for votes. Many Americans felt similarly. Unfortunately, shortly after assuming power, he closed the door on investigating systemic violations of law, deepened and expanded several abusive programs, and refused to spend the political capital to end the kind of human rights violations like we see in Guantanamo, where men still sit without charge." On a couple of occasions, Snowden was asked if he was a Chinese spy. "If I were a Chinese spy, why wouldn't I have flown directly into Beijing?" he said. "I could be living in a palace petting a phoenix by now." "No. I have had no contact with the Chinese government. Just like with the Guardian and the Washington Post, I only work with journalists." "It was seeing a continuing litany of lies from senior officials to Congress - and therefore the American people - and the realization that that Congress, specifically the Gang of Eight, wholly supported the lies that compelled me to act. Seeing someone in the position of James Clapper - the Director of National Intelligence - baldly lying to the public without repercussion is the evidence of a subverted democracy. The consent of the governed is not consent if it is not informed." Snowden seems to be referring to testimony Clapper gave the Senate Intelligence Committee in March. He was asked if the government collected data on millions or hundreds of millions of Americans. Clapper said no — "not wittingly."